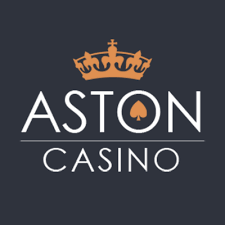 Aston Casino is one more casino operated by Progress Play Limited. All the casinos from this group are not recommended by some major watchdog portals due to numerous player complaints, tricky bonus terms, and some other pitfalls. Anyway, the casino is licensed and regulated by the most reputable gaming authorities in the world - the UK Gaming Commission and Malta Gaming Authority. It’s also protected with SSL encryption, which means that all your sensitive data is in safe hands. What can you get as a newcomer? Aston Casino Welcome Bonus is not big, and it doesn’t include any Aston Casino free spins. All you can get is a 100% match bonus on your first deposit up to €200. You don’t have to use any Aston Casino bonus code to get it. So, it look like an average welcome offer, right? However, you’ll be really disappointed when you’ll read all the bonus terms. First of all, the bonus itself can never be withdrawn. It will be simply deducted from your account upon making a withdrawal request. Next, the wagering requirements are 50 times the bonus, but players from some countries (which are not specified in the bonus terms) will have to wager the bonus amount 100 times. This is just unacceptable. Before claiming this bonus, read all the bonus terms carefully! Overall, Aston Casino is an average casino - it doesn’t have anything so groundbreaking which could stick you to your computer for many hours, but it won’t make you run away screaming either. If you just want to play casino games and don’t care about anything else, then Aston Casino is worth a shot.